Every Missouri automobile has a Vehicle Identification Number, or VIN, which acts as a code to identify the vehicle’s history through the state’s Department of Motor Vehicles. Any driver can reference a VIN lookup in order to find out detailed information regarding accident history, liens and salvage car titles. Having a comprehensive check of a VIN number can be beneficial for many drivers, especially those buying a used car. When a buyer is considering purchasing a privately owned vehicle, it is important for him or her to request a VIN number lookup. 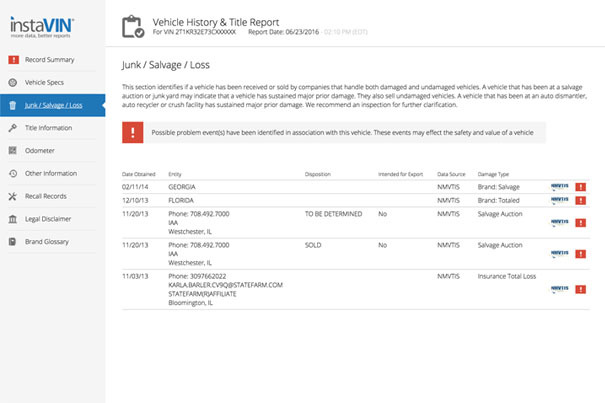 This history report will provide many of the details that a seller will leave out, which will allow the buyer to know if the car is a wise purchase, or not. To learn more about how to check VIN numbers in MO, continue reading below. Checking VIN numbers online in Missouri is easy to do, as long as you have access to a computer with working internet. The online option to lookup VIN numbers is perhaps the easiest and most straightforward of all. If a buyer has access to a computer, then he or she can input the necessary information into the online VIN resource and receive results almost instantly. The reason why ordering a reliable vehicle identification report online is such a popular choice is because it delivers the results in no time. Generally, not many vehicle sellers will wait for a buyer to retrieve the VIN report via mail, or wait for the right day to visit the local DMV office. If a buyer is interested in a car, then he or she can perform the check almost immediately, and learn if there are any glaring issues on the report that should be acknowledged. For the fast, easy option of obtaining a vehicle inspection report, order online today. Another way to obtain a VIN number check in Missouri is by telephone. A buyer can simply call the Missouri Department of Revenue and receive further instructions on how to purchase motor vehicle records. The representative on the line will provide the fee amount and the way in which the fees can be paid. However, a phone transaction will require a wait for the report. To get an instant VIN check done online, click here. What info is in a Missouri VIN history report? Why would I need to perform a VIN check in Missouri? 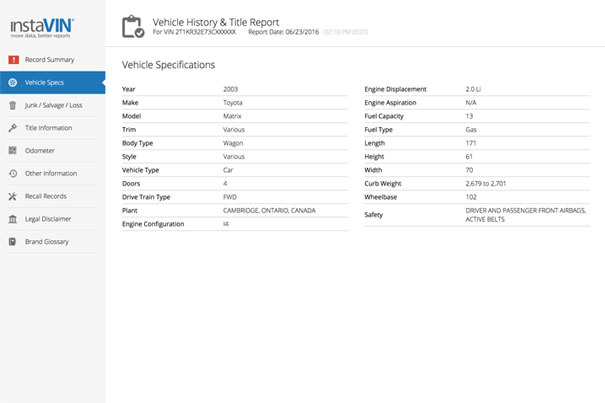 Peace of mind: As a seller, you can easily provide peace of mind for a car buyer by providing a VIN history report right at the start. 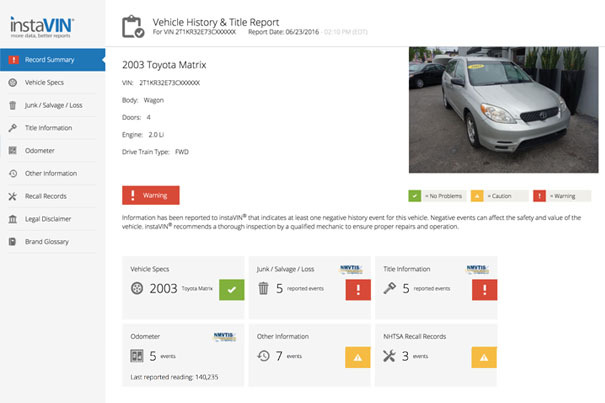 Sending the VIN report to the buyer even before he or she comes to test drive the vehicle can be a great way to establish trust throughout the transaction. For full disclosure: The vehicle inspection number history will uncover every detail about a vehicle’s history that a potential buyer has the right to know. If a seller is trying to get rid of a vehicle fast, and has kept some glaring issues a secret, the buyer should perform the VIN checkup in order to learn as much as possible before committing to becoming the car’s new owner. Reassurance: Buying a car is a big deal, especially when it comes with a hefty price tag. There are always concerns when purchasing a used vehicle, but a VIN code lookup allows for reassurance before making the purchase. The buyer can have the confidence that he or she needs in order to invest in the vehicle. If you need a VIN report now, get started by ordering from a reliable online resource. There are quite a few places in which the VIN code for a vehicle can be found. To start, the vehicle identification characters can be found on various, important documents, such as the vehicle registration, the title, and oftentimes, the auto insurance documentation. This may be the simplest way to find the VIN number, especially if a driver has these documents handy. 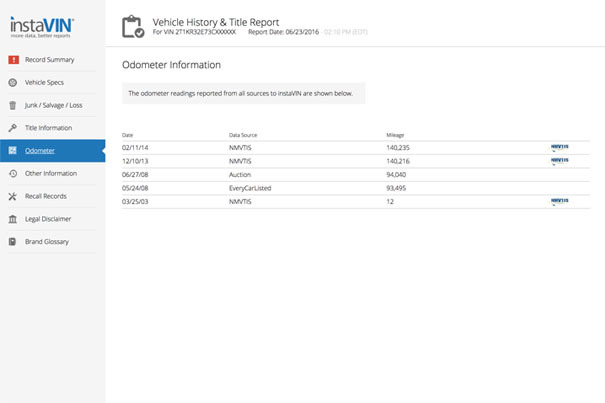 Otherwise, the VIN serial number can be found on the vehicle, itself. The few places in which the code can be located are most commonly on a sticker or metal plate on the inside of the driver’s door or on the bottom of the windshield on the driver’s side. Look for a number of up to 17 characters in length, beginning the No. 1. The first of the code’s characters of a U.S. car will begin with No. 1, as it indicates the country of origin for that vehicle. There will be a $2.82 fee per record that will need to be paid before the records can be released. If you decide to pay with a credit or debit card, you will also be charged a $1.25 fee for transactions totaling up to $50. Last updated on Monday, January 7 2019.